The Dublin Lock-out involved approximately 25,000 workers and 300 employers and was the largest strike in Ireland's history. 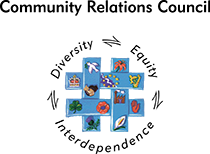 In 1913 the Irish Transport and General Workers' Union (ITGWU) had 10,000 members and was Ireland's biggest and most militant union. William Martin Murphy, owner of the Dublin United Tramway company (DUTC), demanded that all DUTC employees renounce their membership of the ITGWU or be dismissed. James Larkin, the leader of the ITGWU, called out the union men on a strike. Murphy responded by locking out the union workers. 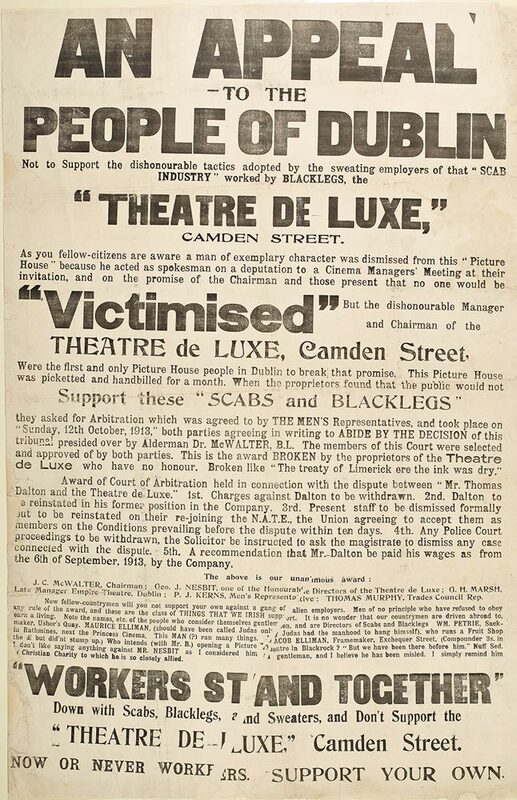 In August the Dublin Employers' Federation decided to break the ITGWU by locking out all their employees who belonged to it. By the end of September around 25,000 workers were on strike. On the 31st August the police arrested Larkin, scuffles between pickets and the police broke out and the police responded with heavy-handed baton charges. In the rioting that resulted two people were killed and many hundreds were wounded. The lock-out finally ended in early 1914, with many of the striking workers on the brink of starvation and drifting back to work. Many of the returning strikers had to sign agreements that they would not join a union. 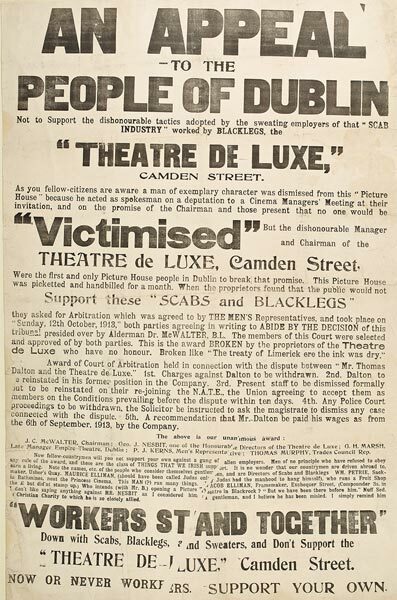 A poster appealing to the people of Dublin not to support the businesses that employ blacklegs.